SPOILERS AHEAD! For those planning to watch the recent Malayalam blockbuster Lucifer, the article ahead is filled with some major spoilers. Lucifer, that became the fastest Malayalam film to reach Rs 100 crore worldwide, marks the directorial debut of actor Prithviraj Sukumaran and has Mohanlal in the lead. The marketing strategy of the film was quite unique, as before the film came out, Prithviraj released a poster of every important character in the film, main and supporting, on social media on a daily basis. This didn't end even after the movie came out, as Lucifer team released a couple more character posters, including one for Bollywood actor Shakti Kapoor who had a cameo near the end. Now Prithviraj Sukumaran has revealed a new character poster for Mohanlal, a second for him, that has a lot to say that it shows. 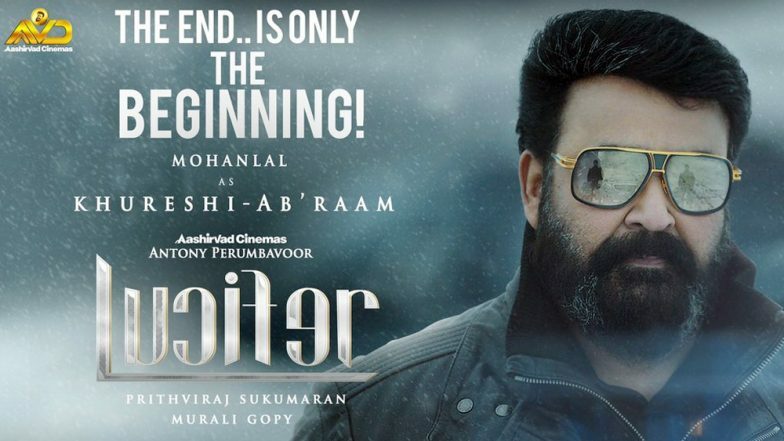 Now in Lucifer, Mohanlal played Stephen Nedumbally, a political influencer who gets embroiled in the cabinet shuffle after the demise of his foster father and Kerala's Chief Minister. As the movie progresses, we realise that there is more to this man than being just a politician, with a couple of characters mentioning who he went 'missing' for a few years. He also has a group of deadly mercenaries, led by Prithviraj's character, on his command. Towards the end, the movie lets us in the secret - that Stephen is a powerful kingpin Khureshi Ab’Raam, whose name is mentioned quite a few times in the film without a face attached to it. He is also suspected to be a leader of the cult Illuminati society, with his operations now heading to Russia. The ending of the film hints at a new adventure for this facet of Mohanlal's character, and it looks like Prithviraj and his writer, Murali Gopy, might be heading that way for Lucifer's sequel. This is also clearly evident in the caption 'The END..is only the BEGINNING!' used in both the above tweet and the poster. If the sequel hint is true, then it would be quite exciting for Mohanlal fans who haven't got enough of Stephen's saga. It would also be an opportunity for Prithviraj to iron out some of the flaws in the first film, including his own soul-less, robotic performance.